you may be afraid to exercise because you are in pain and fear that exercise will make things worse. Pilates is one of the few forms of exercise recommended by doctors and physical therapists to their patients with chronic conditions and limitations because it is gentle and low impact. My programs are personalized for people with such conditions. The Pilates equipment may look strange, but it is gentle and effective in correcting imperfection of the body. The Pilates Reformer provides support so that you can protect areas of your body while strengthening smaller muscle groups that may be out of balance. 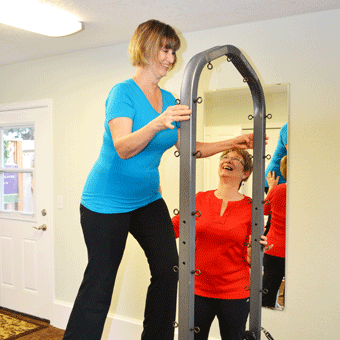 Using the Pilates reformer and other modifications, I create low-impact, full-body exercises that will strengthen and lengthen your muscles while stabilizing your joints, minimize joint inflammation, improve your balance, strengthen your bones, and increase your endurance. My goal is to train you physically and mentally on how to move correctly in life, so you can have a life! Please make sure you are cleared by your doctor for activity. You may want to ask for any additional restriction that would apply to you. If you have recovered from an injury such as: rotator cuff tears, spinal fusion, hip and knee injuries, muscular or radiation damage, or some other injury, and finished your physical therapy, you may not know what to do to continue to strengthen these areas. You might also develop problems in other places that are due to the imbalance the injury may have caused. With Pilates I can create work with your physical therapist if needed, and create a bridge or “post-rehab” for these issues. 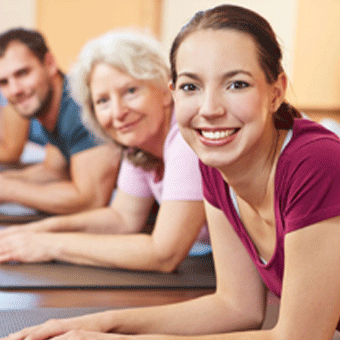 Pilates is highly effective in reducing back pain and chronic mobility issues. I work with all shapes and sizes of people and specialize in working with people who have chronic injuries such as arthritis and muscular damage.